On Monday, we will have an unusual opportunity here in Bowling Green and all of South Central Kentucky: we will be a prime viewing area for the solar eclipse. Nashville, too, will have great views, so you can expect plenty of traffic between Bowling Green and Music City as well. While all of this is very exciting, it is also incredibly distracting. Drivers making their way south to be in the zone that will get to see the total eclipse will be tempted to stare into the sky. 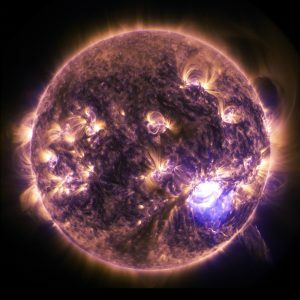 And in case you’ve missed the many messages about this, let us repeat one more time: don’t stare directly at the sun, even when your area is plunged into a total eclipse. You can, and should, buy special eclipse glasses for viewing the eclipse, but these are so dark that you absolutely should not be driving while wearing eclipse glasses. Drivers who are looking at the eclipse aren’t watching the road. They will likely be driving erratically, stopping, slowing down and drifting into other lanes. Time magazine published a story on its web site earlier this week saying that the Federal Highway Administration is saying the eclipse may be the biggest driving distraction in this century. A total eclipse hasn’t crossed the country coast-to-coast in nearly a century. The eclipse will cross 29 interstate highways and totality will be visible in 14 states, the story said. Good Morning America also highlighted the dangers of driving during the eclipse in a story this week. Among the safety tips shared in these news stories are to encourage drivers to use headlights when the eclipse occurs, and don’t rely on your car’s automatic headlights. Kentucky officials are warning motorists not to stop in the road, on a shoulder or in a right-of-way to view the eclipse. Traffic updates will be posted in social media. The very best course of action you can take if you want to view the eclipse is to find a place to watch it, and park. Allow plenty of time to get where you want to go so that you’re not sitting in traffic when the eclipse happens. If you plan to travel and have the option to go the night before or stay the day after, it would be wise to do so. Any time there is traffic congestion, you can expect that there will be fender benders and possibly accidents that are much worse. For planning purposes, the partial eclipse will start at about 12 p.m., and totality will occur at about 1:30 p.m. Totality will only last about 2 minutes. The entire eclipse will be over by 3 p.m. Think about this when you’re planning business meetings, lunches or anything else that requires driving. 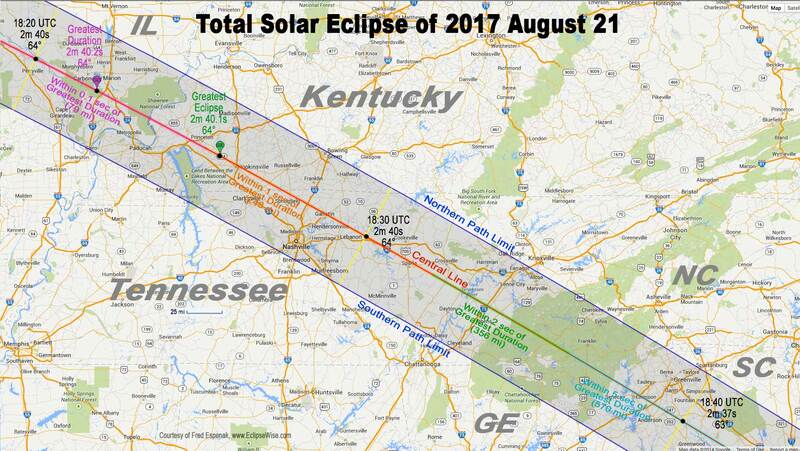 Here’s a closer look at the path of totality if you’d like more details. A map that gives exact times by location is here. If you do get involved in an accident on the day of the eclipse – or any time – contact an attorney. We can help you review your options. Contact me, attorney Kyle Roby, at (270) 781-6500 or kroby@elpolaw.com.